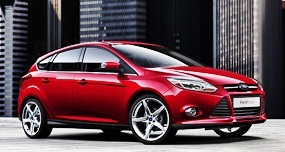 The next-generation Focus built in Thailand is earmarked for export to Australia. This will be a more competitively priced and/or specified Focus from Thailand, which has a free-trade agreement with Australia. Four-door sedan and five-door hatchback versions of the MkIII Focus made their global debuts at the Detroit motor show in January, where FoMoCo said it next Focus would be sold in 122 countries after production started in North America and Europe in early 2012. Ford will invest $US450 million to construct a state-of-the-art manufacturing plant in Rayong to produce the Focus in Thailand from 2012. The new passenger car plant will have initial production capacity of 150,000 vehicles, with 85 percent of production destined for markets outside Thailand. Ford said the new plant would produce the next-generation Focus from 2012 for Thailand and other Asia-Pacific markets, as part of its aggressive expansion strategy in the local and Africa regions. Ford has also committed to producing its latest Fiesta in Thailand for Australia this year, though there is no word on Mazda3 production in Thailand. Ford said it would buy up to $US800 million worth of local components a year through Thailand’s local supplier network, and that the facility has the potential to support up to 11,000 new jobs - including 2,200 direct factory jobs. Ford Asia Pacific and Africa president Joe Hinrichs said the investment underscored Ford’s long term commitment to Thailand and its role as a global production and export hub for Ford. “The decision to build our new plant was supported by Thailand’s world-class automotive industry, and logistics and export infrastructure,” he said. Amidst the recent depression, this is nothing but good news for Thailand, and the Eastern Seaboard in particular. Last week I mentioned W. F. Shetzline and asked what car did he build? The clue was 1911. He built the imaginatively named WFS. So to this week. Iran received hundreds of thousands of British CKD cars in 1969. What was it called in Iran and the UK? The SuperCar meeting at Bira last month ago was stupendous. I have not seen so many cars competing, nor so many spectators as there was on the 27th. The pits had to be extended all the way down to the entrance tunnel, and parking spots at the hairpin were at a priority. The next meeting at Bira should be the Pro Races on 24/25 of this month followed by the 3K meeting the following weekend.